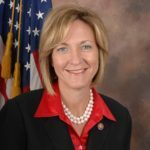 Democratic Ohio governor candidate Betty Sutton on Monday sent a letter to Ohio Attorney General Mike DeWine, a Republican candidate for governor, critical of his failure to hold accountable a pipeline company he’s invested in. Sutton’s letter urged DeWine to “do his job” and hold Rover Pipeline, LLC and its parent Energy Transfer Partners, accountable for the damage it has inflicted upon Ohio after the company racked up millions in fines for violations related to the spilling of over 2 million gallons of drilling fluid into state wetlands. Sutton urged DeWine to recover the $2.3 million in fines that Rover owes, or give Ohioans a good reason why he continues to fail to do so, a release announced Monday. His failure to act is further troubling given his personal investment in Rover’s parent company, Energy Transfer Partners, the release said. Sutton said Monday that the company must be held accountable for the damage it has inflicted upon the state, adding that the continued failure to act to enforce these fines encourages further violations. I write today to request that you, as Attorney General of Ohio, start civil proceedings against Rover Pipeline, LLC (“Rover”) for the recovery of $2.3 million in fines issued by the Ohio Environmental Protection Agency (“Ohio EPA”). Rover has repeatedly violated the rules and regulations of the State of Ohio, putting the health and safety of Ohioans at risk in the process. This is unacceptable and your delay in initiating proceedings in the face of the pattern of disregard for the wellbeing of Ohioans and our state is troubling. Your failure to act is further troubling given your investment in Rover’s parent company, Energy Transfer Partners. In a letter dated July 7th, Ohio EPA Director Craig W. Butler wrote to you to request that you initiate civil proceedings and pursue civil penalties against Rover, and any other appropriate parties, pursuant to Sections 6111.07, 6111.09, and 3704.46 of the Ohio Revised Code. Director Butler has also repeatedly made public comments raising alarms at Rover’s conduct and continual disregard for Ohio’s laws and procedures. It is time that we make them take Ohio seriously. The continued failure to act to enforce these fines encourages further violations. The health and safety of Ohioans are at risk. I respectfully urge you to do your job and take action against Rover. This company must be held accountable for the damage it has inflicted upon our state. I ask that you move to recover the $2.3 million in fines that Rover owes, or give Ohioans a good reason why you continue to fail to do so. I look forward to hearing from you soon regarding this matter. Sutton, a former Congresswoman, is currently vying for the nomination of Ohio Democrats to run for governor in 2018. Other Democratic candidates include former state Rep. Connie Pillich, Dayton Mayor Nan Whaley, and state Sen. Joe Schiavoni.